Celebrate the Good Times in life with exuberant, carefree music. 'Good Times' is a musical vacation to exciting destinations filled with fun memories from the 70's, 80's and 90's. From the dance floor to parties at the beach, these spunky, punchy selections add personality to any production. An intoxicating mix of ultra-cool moods and grooves, best served chilled. Imbibe in cuts ranging from Downtempo, Acid-Jazz, Trip Hop and Bossa Nova, all the way to campy bachelor pad. Jazzy keyboards, ambient synths, deep bass lines and vocal accents flow together in a collection that's sure to quench the listener's senses. 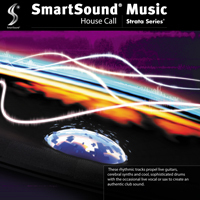 House Call features pulsating music beds in a variety of House styles. These rhythmic tracks propel live guitars, cerebral synths and cool, sophisticated drums with the occasional live vocal or sax to create an authentic club sound. Use our Timing Control feature to precisely locate these multi-layer beats for your creative needs, and bring the House down. 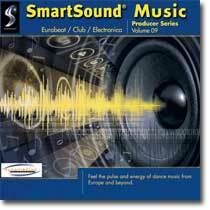 Feel the pulse and energy of dance music from Europe and beyond. 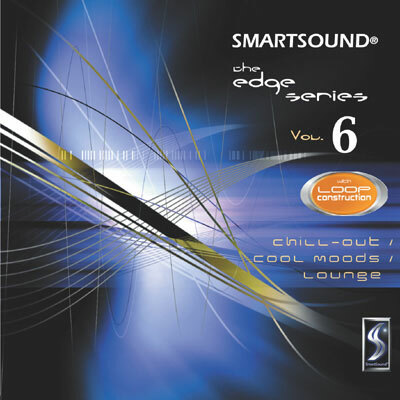 From high-energy techno beats to laid-back dub tracks and electronica, this eclectic collection can get your video on the dance floor. Take a trip back to the sounds of chart-topping artists from the 50s through the 80s. 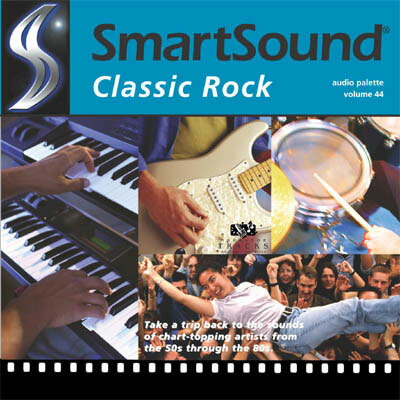 These selections capture the licks and grooves of popular rock and pop bands from way back. 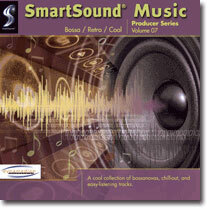 From early R & B, to progressive rock, this collection has what you need to get your scene rockin'. A cool collection of bossanovas, chill-out, and easy-listening tracks. 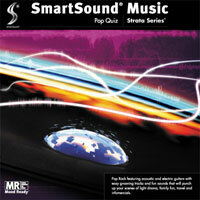 This fun round of tunes ranges from easy-going background to campy retro to slick chill-out. Highlight your cool, light, or campy moments with some loungy bossanovas. 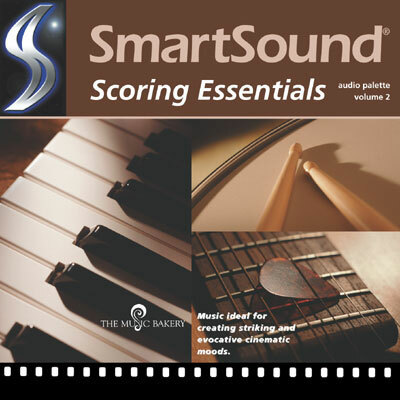 Scoring Essentials features music ideal for creating striking and evocative cinematic moods. Inspired by the greatest in major contemporary film scores, these pieces exemplify what soundtrack creation is all about. The CD also includes pop-rock styles designed to give any visual that contemporary edge. Pop Rock featuring acoustic and electric guitars with easy grooving tracks and fun sounds that will punch up your scenes of light drama, family fun, travel and infomercials. Energize your productions with authentic, old-school funk. This ultra-tasty mix of bouncing bass and juicy guitar licks satisfies the need for that funky downtown sound.